Noted family educator Mary Sheedy Kurcinka struck a national chord with her bestselling Raising Your Spirited Child. Now she hits upon another crucial parenting topic: coping with the everyday challenges of disciplining your child, while understanding the issues behind his or her behavior. 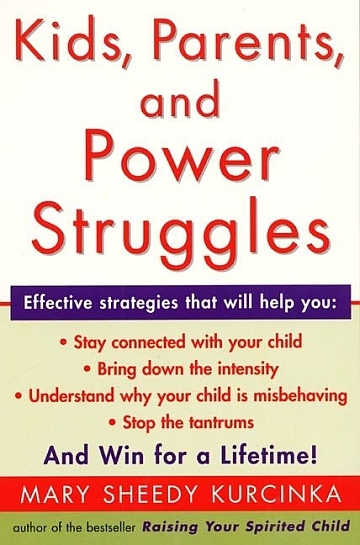 In Kids, Parents, and Power Struggles, she offers unique approaches to solving the daily, and often draining, power struggles between you and your child. Kurcinka views these conflicts as rich opportunities to teach your child essential life skills, like how to deal with strong emotions and problem solve. With her successful strategies, you'll be able to identify the trigger situations that set off these struggles and get to the root of the emotions and needs of you and your child.